Did you guess it was Marin?? And also a terrifying angler creature? 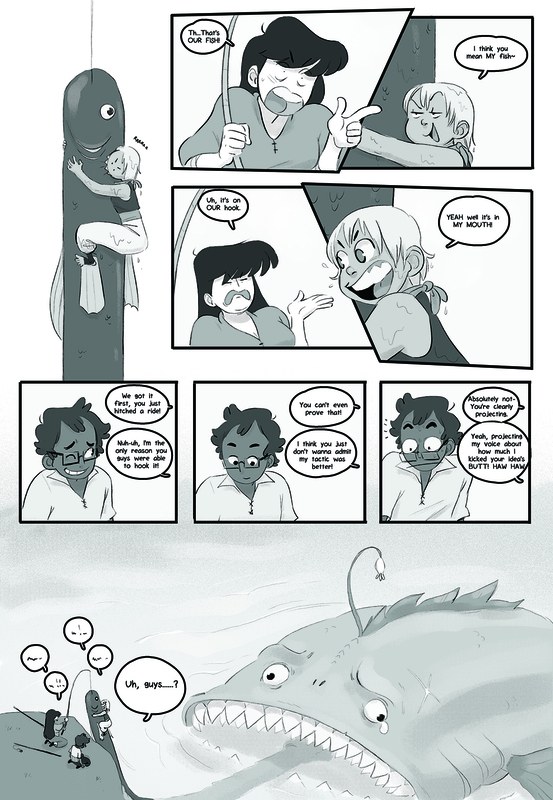 Thats the end of guest comics for chapter 1! Thank you for contributing and thank you all so much for reading and supporting Island Hoppers~! On Thursday i’ll post the chapter 2 cover, and the first page will go up on October 16th!